Arrival at Amman. Meeting and assistance by our Jordanian representative. If time permits visit Madaba and Mount Nebo. The trip south of Amman along the 5,000 years old King’s Highway is one of the most memorable journeys in the Holy Land, passing through a string of ancient sites. The first city along the way from the north is Madaba, “the City of Mosaics” which has been intermittently inhabited for nearly 3,500 years. The chief attraction in this city is a wonderfully vivid, six-century Byzantine mosaic map showing Jerusalem and other holy sites; there are also literally hundreds of other mosaics scattered throughout Madaba’s churches and homes. Ten minutes to the west is Mount Nebo, the memorial of Moses, and the presumed site of the prophet’s death and burial place Afternoon transfer to the Allenby/Sheikh Hussein border crossing into Israel. After emigration formalities, transfer to Tiberias hotel for dinner and overnight. In the morning after breakfast, we will visit the city of Cana where Jesus performed His first Miracle, changing water into wine. Then on to Nazareth, the boyhood town of Jesus and home of Mary and Joseph. In the afternoon, we drive through the landscapes of Galilee and later for a ride in a replica of a Galilean fishing boat on the Sea of Galilee, where Jesus calmed the storm and walked on the water. Visit Capernaum – the center of Jesus’ ministry after he left Nazareth, stop at Tabgha- the Church of the Multiplication of the Loaves and Fishes. We’ll make a brief halt at St. Peter’s house. This is believed to be the place where Jesus dined with His disciples. Return to hotel for dinner and overnight. Today after breakfast we leave Galilee for Jerusalem. After a stop at Yardenit, the traditional baptismal site on the Jordan River we will continue to the lowest point on earth the Dead Sea. 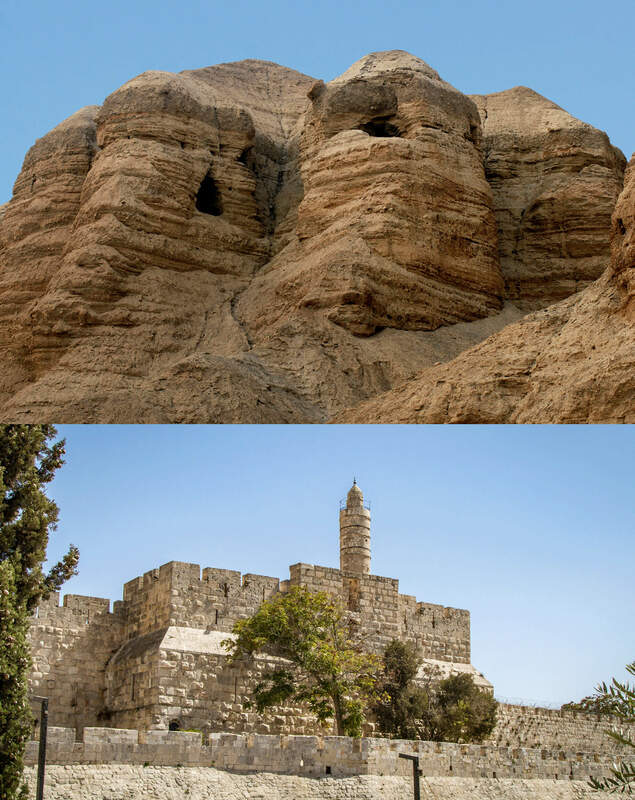 We will visit the ancient city of Jericho, believed to be the oldest city on earth and view from here Mt. Quarantal, where Jesus spent 40 days when Satan tried to tempt him. We will visit the Qumran caves, where the Dead Sea Scrolls were found. Make a brief stop at a private beach and take the opportunity to float in the salty buoyant water, rich in minerals (towels and swim dress necessary. Then back to the hotel for dinner and overnight. We start in the morning by visit the Mt of Olives to the Church of Ascension, which commemorates the assents of Jesus to heaven. Then continue to the panoramic view of Jerusalem and from there, by foot travel to Dominos Flavit where Jesus wept over eminent destruction of Jerusalem where the chapels are built in the shape of a tear as a poignant reminder to this event, and then visit the Garden of Gethsemane where Jesus prayed while Judah betrayed him to the Romans. Visit the basilica of agony. We then go to the pools of Beit Hasda, and from there we take the Via Dolorosa (Way of Grief), traditionally accepted as the last route trodden by Jesus. Follow the 14 Stations of the Cross to Golgotha. You will see the Pilate’s Judgments Hall, the Chapel of the Flagellation, where the Roman soldiers scourged Jesus and placed a crown of thorns on His head. The last four Stations of the Cross are inside the Church of the Holy Sepulcher visible from the distance, wish is two silver domes, also “The Tomb” widely believed to be part of the stone that covered Jesus Tomb. In the afternoon, we go through the Jewish quarter to the Wailing. Then back to the hotel for dinner and overnight. Today morning after breakfast, we will visit Ein Karem – the town of Judah and birthplace of John the Baptist. We then visit Mt Zion the cynical, the room for the last supper and King David’s Tomb. We also visit the Church of St. Peter Gallicantu the site where the High Priest imprisoned Jesus before he was turn over to the Romans and the church of Dormition. Then onto Bethlehem to visit Church of Nativity and the Manger Square. Later return to hotel for dinner and overnight. After breakfast and check out at the hotel, you will be transfer to Sheikh Hussein border to cross Jordan. 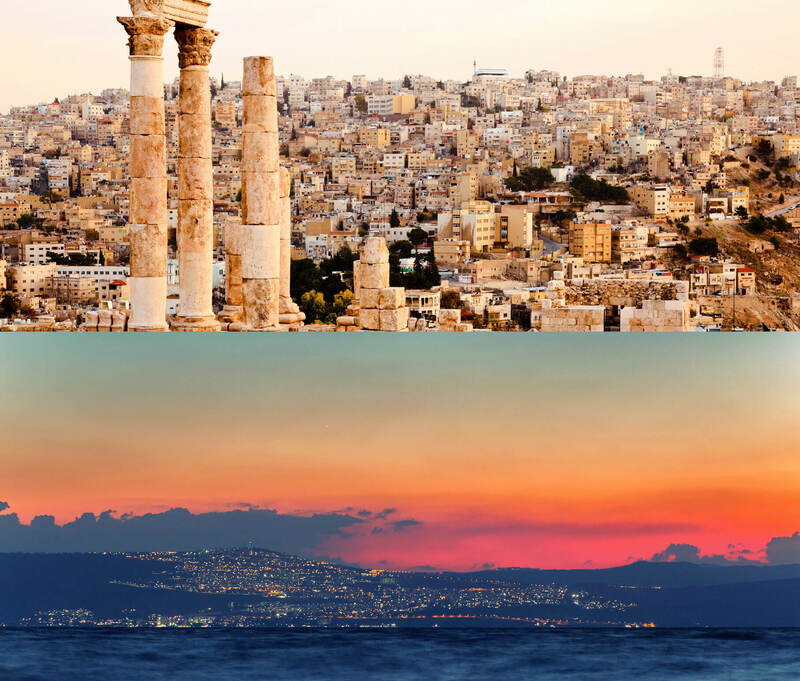 After emigration formalities, you will meet our Jordan representative, who will transfer you to Amman Airport. PLEASE NOTE THIS IS NOT THE FINAL ITENERARY AND THE SEQUENCE OF THE PROGRAM MAY CHANGE DEPENDING ON THE FLIGHT DETAILS AND AS PER GUIDE.